Inspections and audit checklists simply aren’t effective when they are too generic. It’s almost laughable to consider inspecting a dump truck the same as you do a cargo van—almost laughable, that is, until you consider the risks. Yet it’s our experience that a great number of inspection and audit checklists, even when performed with software, are very generic. It’s a complaint we’ve heard often from people in a wide range of industries. They’re dissatisfied with the specificity of items on the checklists they’re using. This complaint is nothing new. When we were working as safety trainers and consultants during the 1990s, we heard it so often about paper checklists that we created The Checker inspection checklist books. We distinguished our checklists from the others on the market by making them specific to a wide range of equipment and vehicles, with all the precise crucial elements for each exact type included. Now we’ve taken that specificity online with The Checker Software’s Online Checklist Library. Just as our paper checklist books offered more specificity than those produced by book publishers (instead of by a safety and inspection company like us), our online checklists stand out from the generic templates produced by businesses that are primarily software publishers. The Checker Online Checklist Library includes pre-built checklists that have all the precise detail needed for hundreds of exact types of equipment and vehicles. Using our decades of experience improving inspection processes, we provide this level of detail without making the checklists difficult to use. On the contrary, they are designed to increase the ease of inspecting. An example of this is the standardized format of each checklist. While the detail is different, the format is the same, so it’s easy for personnel to switch from inspecting one asset to another without any confusion. Management also benefits from the standardized format, which allows for quick review of results. Best of all, each pre-built checklist is tied into The Checker Software’s many other features and functions, all of which increase the efficiency of inspection processes. The unique specificity of The Checker inspection checklist books is now available on mobile devices. Our Online Checklist Library contains hundreds of pre-built checklists that contain all the vital detail necessary to properly inspect specific types of equipment and vehicles. Learn how to begin taking advantage of The Checker Software and its Online Checklist Library. Images courtesy of Wikimedia, Creative Commons. Have you ever thought something like that about the inspecting your enterprise does? If so, you’re not alone. It’s a challenge to find mobile inspection checklists that have the exact checklist items you need. That’ true not just for JSHC walk-throughs, but also for efficiency reviews, energy audits, quality control, training evaluations, environmental impact assessments, maintenance reviews, regulatory compliance assurance, and any other inspection process. Some software checklists on the market offer “customization,” but only with the help of IT expertise. Most leave you stuck with template-based checklists that lack the specific detail you need. That’s why The Checker Software includes The Checker Builder, which allows you to easily create your own mobile checklists, with all the specific detail necessary to inspect virtually anything. The Checker Builder gives you exactly the mobile inspection checklists you require rather than generic templates designed to “sorta” meet a wide range of needs. 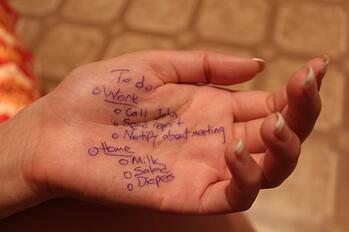 But it all starts with the checklist, and it’s crucial to get that part of it right. If a checklist doesn’t include all the necessary items, you’re not going to get the actions or data that you want. Reflecting our background as a training and inspection company—rather than as a software company—our mobile checklists easily accommodate the real-life way in which inspections, audits, walk-throughs, etc. are conducted. For example, it’s simple to adjust the order of the items on the checklist to fit the actual order in which you check them. Our checklists also feature the capability to assign a score to an item—a key tool for auditing, benchmarking, grading of performance, and other cases where pass/fail alone isn’t sufficient. And you don’t need IT help to take advantage of any aspect of The Checker Software, including The Checker Builder. Because the software is provided through the cloud, there’s no installation (or software purchase!) necessary, and an intuitive interface guides you through the process of building your own checklists. You may not even need The Checker Builder. 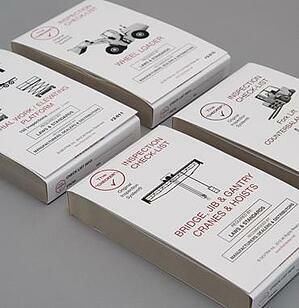 We have a library of 100s of pre-built inspection checklists that may meet your requirements. But The Checker Builder is an essential feature of The Checker Software because we know from experience that checklists—and inspections—are only as good as the thoroughness and relevance of the items on the inspection checklist. With The Checker Builder, you can create a mobile checklist for everything you inspect—each checklist with different detail but with the same easy-to-use format. You can also begin to gain the many other benefits of The Checker Software. 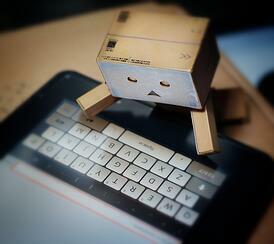 Image courtesy of Zhao !, Creative Commons. Where would we be without checklists? We’d be forgetting a lot of stuff, that’s where. Almost every productive person uses some sort of daily to-do checklist to prevent them from forgetting something important and to keep them on track. In our personal lives, we’re constantly using checklists for things such as grocery shopping, household chores, or preparing for a vacation. In the commercial world, checklists are used in countless ways that range from the highly technical (surgery, pre-flight checks) to the relatively uncomplicated (closing up a business at night, basic inventory). There are many causes for overlooking things. Time pressures, distractions, apathy, stress, and fatigue can all lead to us to neglect a task we really needed to do. Sometimes, the cause is simply that we don’t know what’s important to remember. That’s where checklists come in. Checklists can be as simple as a few items on a napkin, or as sophisticated as checklist software programs. They all have the same purpose, though—to counter for the limitations of human memory, focus, and knowledge. The simple concept of checking off items as they’re done, in the order they’re supposed to be done, keeps us from screwing up. However, all checklists—from the humblest to the most complex—need to have certain basic features to make them effective. These are very common-sense features to include in a checklist. Anyone can see their importance. That’s why it’s difficult to understand why many businesses fail to use checklists with these basic but vital characteristics. In business, where checklists usually involve more complex processes than daily living tasks, it pays to use professionally designed checklists. But if they don’t have the basic features we just discussed, they’re not going to provide the benefits that checklists should. If your checklists aren’t fundamentally sound, you can remedy that situation with The Checker inspection books or mobile software. The Checker can be used to inspect, audit, or assess almost any type of asset—and it has all the fundamental characteristics of checklists that get the job done. 1. Our checklists are designed for very specific types of assets. For example, unlike many checklists you’ll find on the market, we don’t just have a “vehicle” inspection. Instead, we have checklists for specific types of vehicles— all the vital items for that particular type of vehicle will be included. It’s that way with all of our hundreds of pre-designed checklists, and you can also customize checklists for particularly unique needs. 2. Checklists that are too generic must, by their nature, include items that don’t apply in every situation. With our asset-specific checklists, The Checker doesn’t have that problem. 3. We don’t list items alphabetically, which makes sense in some cases, but not in walk-around or walk-through situations such as commercial equipment inspections or facility safety audits. We certainly don’t list items arbitrarily, as some checklists seem to do. We list the items in the logical sequence they will be encountered during the inspecting process. The Checker can provide numerous benefits, helping you manage, monitor, and plan inspection and auditing processes. But it all starts with a checklist design that has the fundamentals of an effective checklist. Regardless of whether you use The Checker, if you’re not using a checklist with these essential features, you will be well-served by remedying that problem. Learn more about selecting the right inspection checklists by downloading “The Checker Checklist: The Value of Using Checklists,” a checklist of what to look for in checklists. For today's blog, we weclome guest blogger Terry Penney, a safety professional, presenter, motivational speaker, and safety program developer. Safety in the movie/film and television world is diverse and always safety-oriented, and checklists are more than a piece of paper. A safety incident onsite on location can mean more than a retake; it can lead to huge dollars lost and down time. The film and television Industry is a unique business, and as such, presents unique health and safety hazards. As with most safety information, many aspects must be proactively considered. Safety professionals must know each production, each worker, each location, etc. With industry cooperation and governmental interaction, realistic procedures are reviewed, practices are developed, and checked methods are identified for potential hazards in their work environments—all with the purpose of increasing productivity and protecting those working in the film and television industry. Safe procedures do not involve losing the appearance of risk that can be such a vital quality of the production. Safety guidelines are intended to assist people involved in the industry and not to replace the laws that are in place. Employers, producers, supervisors, and working professionals are urged to refer to the actual legislation to determine their legal workplace duties and rights. Safety guidelines aim to educate every worker, in all disciplines, at all levels, in the value of hazard recognition and safe working practices. Education is the foundation of any health and safety program, with knowledgeable performers, support staff, and management working together. The more workers and management know, the more effectively they can identify specific needs and issues before those issues become problems. There are many occupational health and safety hazards associated with motion picture and television production. An obvious example is the professional stunt performer jumping off a cliff or crashing a car. 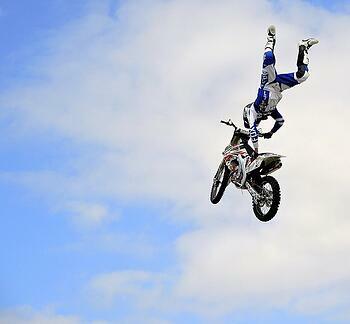 However, as we will see, the risk is not just to stunt performers during these stunts; others can also be affected. In addition, there are a multitude of other occupational hazards that are found on motion picture and television sets and locations, including chemical and safety hazards during preproduction, ordinary fire hazards, special effects, and extreme temperatures, as well as ordinary medical problems ranging from bee stings to heart attacks. Lack of quick access to adequate medical facilities, especially when filming at remote locations, can often exacerbate the problem. Daily and sometimes hourly hazards and risks can cover any one of the following items. Yes, the show must go on, but not before all the safety items are controlled and quantified via checklists and signed off by senior staff. Advanced first aid and worker transport safety when medical needs come about. Communication regarding potentially hazardous procedures. Production company stunt plan review and risk assessment. Stunt plan and controls, including artificial environments. Seat belts, harnesses, roll cages, and air bags in vehicles. 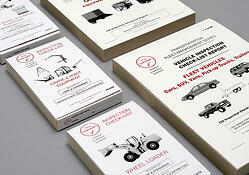 Camera cars: process trailers and towed vehicles. Boom vehicles and camera cranes. Underwater stunts and underwater operations. Water locations, small craft/vessel, and at dockside. Working In extreme temperature conditions. Location requirements and environmental concerns. Hair and make-up, including derma-bases problems and allergic reactions to products. Multiple dressing rooms/hygiene and worker comforts, including showers and toilets. Craft services and food catering. Department heads (as per safety responsibilities and duties). The common goal via compliance and checklists is to raise the standard of health care, educational resources, and quality of life for artists, and to take those resources out into the community, both locally and nationally, so that what you are seeing is not just entertainment. Safety professionals involved in the industry have even produced their own training and reference books, such as “The Artist's Complete Health & Safety Guide, 3rd Edition,” and “The Health & Safety Guide for Film, TV & Theater, 2nd Edition,” both by Monona Rossol, to name just a couple. It’s been an exciting couple of years for The Checker. Last year, we marked our 25th year in business. This year, we’re celebrating the 15th anniversary of the debut of our industry-leading inspection checklist books. We’ve also been busy developing The Checker Inspection Software, which allows our customers to take advantage of mobile technology and makes it easier than ever to customize The Checker to audit or inspect virtually any asset or process. “So what?” you might ask. If you’re evaluating the value of the inspection checklist options on the market, why should you care about our history? Because it sets us apart from our competitors. You can easily find other inspection checklist books out there, as well as inspection software, but if you research the vendors, you won’t find the depth of real-world safety and inspection experience we have at The Checker. We didn’t start out with the intent of producing inspection checklists. We formed as Devtra Inc. in 1989 with the mission of supplying training and consulting services to help businesses achieve safe, compliant, and effective equipment operations, material handling, and inspection maintenance. It became clear to us as we provided these services that there was a glaring gap in the field of occupational safety—a lack of inspection checklists that actually benefited companies. Our clients often asked us to help them create inspection checklists that helped improve safety while also increasing efficiency, because no such checklists existed. So we learned how to design checklists that would do just that across a range of industries and types of assets (equipment, vehicles, etc.). That led us to the launch of The Checker inspection checklists. What Makes The Checker Unique? From the start, our checklists stood out because we understood—from our training and consulting—the reality of implementing safety initiatives and inspection programs in business operations. We knew first-hand the challenges involved in creating genuine safety cultures and getting personnel to do inspections as they should. But we also had seen repeatedly that when those challenges were overcome, cost reductions and productivity increases almost invariably followed. Safety best practice—such as regular, properly conducted inspections—aren’t just a moral issue. They are also smart business, reducing a range of costs and risks while also often increasing productivity. That’s why every detail of The Checker is designed with two overriding goals in mind: increasing safety and increasing profits. Not all inspection checklists are created equal. To learn more about why the inspection checklist you use makes a difference in the benefits you get from inspections, download our free Checklist for Inspection Checklists. The results are in, and The Checker has won the “Inspection Checklists Books” category in the latest annual Readers Choice Awards held by OHS Canada. The award was voted on by readers of the OHS Canada magazine and the organization’s Pipeline magazine, which covers safety issues specifically related to the oil and gas industry. The fact that readers made the choice to give us the Gold award gives it special significance to us, as it reflects what those who are truly in the know think about our product. We appreciate everyone who voted for us; it is affirmation of what we firmly believe—The Checker provides the best inspection checklist books that you’ll find! One of the things that sets us apart is that we’re not merely book publishers. The Checker emerged from our real-world experience with commercial equipment maintenance and industrial safety management and training. With that practical experience, we learned the type of checklist design that keeps personnel as safe as possible while reducing costs, and that’s how we designed The Checker. We’re committed to continuing the excellence of The Checker inspection books, even as we introduce mobile inspection software. We know the books keep thousands of people safe every day, and they’ll always be a big part of what we offer. If you’re already using The Checker inspection books, the OHS Readers Choice award confirms that you’re using the best books out there. If you aren’t using The Checker, we hope you’ll listen to your peers who voted for us—they know a valuable tool when they see it! Do you have a hodgepodge of equipment inspection checklists in your company? You’re not alone if you do. It’s common in many industries for businesses to have different inspection checklists for virtually every type of commercial equipment they use. Manufacturer checklists. 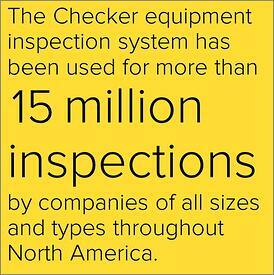 Many manufacturers supply inspection checklists for purchasers and lessors of their equipment. Do-It-Yourself checklists. 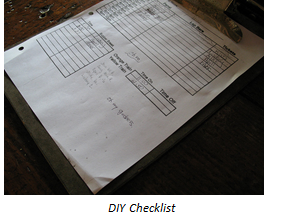 Lacking a manufacturer checklist (or at least a satisfactory one), it’s not difficult at all to create a DIY checklist. All you really need to do is write out the items to check for a particular piece of equipment and then keep making copies (or have copies printed) to use for all similar types of equipment. A major drawback of both types of checklists is that you naturally end up with a whole bunch of checklist formats floating around. A danger of DIY checklists is that they won’t include all the items that need to be checked to best ensure safety and optimum operability. They’re also often designed with very little thought, frequently resulting in a checklist format that’s more difficult to follow then necessary—as well as unprofessional-looking, which reflects poorly on a company’s commitment to safety. Manufacturer checklists usually—but not always—include the necessary items to check for safety and performance. However, their checklist formats are often not designed with personnel in mind and are difficult to use. These issues, though, are essentially irrelevant for companies that understand how equipment inspections can improve safety and lower costs. For these companies, manufacturer and DIY checklists are ruled out from the get-go because multiple checklist formats create confusion and lead to mistakes, reducing the benefit of equipment inspections. There’s no sense in personnel having to learn new formats every time they inspect a different type of equipment. That wastes time and can be dangerous. Unfamiliarity often results in errors. Our recommendation to any company attempting to improve equipment inspections is to use a single, standardized inspection checklist format for all your equipment inspections. The caveat is that—while they should all have the same format—every inspection checklist must still be specific to the equipment being inspected. You can find many vendors who provide inspection checklists that can be used across all your equipment, but they are too standardized. Their format isn’t the only thing standardized—so are the items to check. They don’t contain the necessary detail for each particular type of equipment. Our approach at The Checker is to combine a standardized checklist format with equipment-specific checklist detail. We provide professionally designed, consistently formatted inspection checklists for hundreds of types of equipment, with all the equipment-specific detail needed to conduct truly effective inspections. Based on our decades of experience helping businesses improve workplace safety, The Checker is easy-to-use, with all the necessary items listed in the logical order they should be checked—for each type of equipment. This speeds the inspection process, while the standardized format means no one has to learn new formats, which saves time and avoids mistakes. Equipment inspection checklists with a standardized format are preferable to a mish-mash of manufacturer and DIY formats. However, the standardization can’t come at the expense of equipment specificity. A checklist such as The Checker is needed. Learn more about selecting the right inspection checklists by downloading “The Checker Checklist: The Value of Using Checklists,” a checklist of what to look for in checklists! Top image courtesy of Bossi, Creative Commons. Are you training your personnel on how to properly inspect your assets? Include inspections in your theory and practical training. Identify the items to inspect and explain what to look for on each item. Show the proper procedure and sequence for performing an inspection. Go over circle check inspections—where to start and where to finish. At the beginning of practical training, demonstrate and perform a circle check inspection of the asset. Follow up and observe trainees performing the circle check they previously learned. Document each inspection and keep records. Why is a proper inspection so important, you might ask? Increased safety for operators and those around them. Reduced asset downtime—if it's down, it's not working to generate profit. Control and reduction of maintenance costs—it's cheaper to fix little problems. Elimination of major repair bills—We all know the no-oil story; don't check the OIL, replace the ENGINE. Compliance with laws requiring inspections and documentation. Reduction and control of injuries—defective or flying parts cause many injuries. Identification of potential problems before they materialize. Proper inspections save you money! 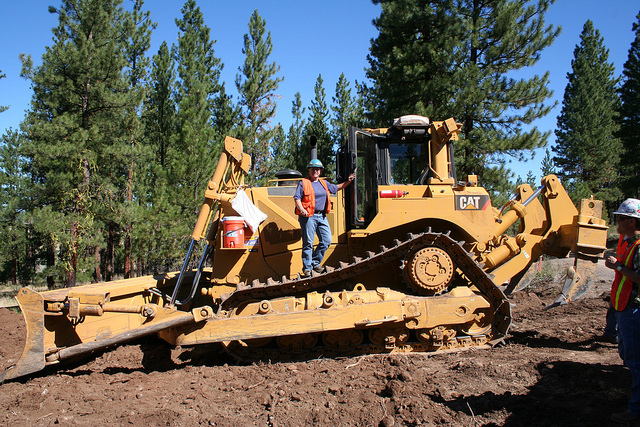 Image courtesy of Oregon Department of Forestry, Creative Commons. Routine inspections can accomplish much more than simply keeping regulators off your back. If they’re done properly, they can lower costs and increase productivity. To help companies ensure inspections (or audits, safety assessments, etc.) are done the right way, we developed The Checker inspection checklists. What's different about the The Checker? This video explains. Since 2000, The Checker inspections checklists have been used for more than 13 million inspections, helping smart companies operate more safely and reduce costs. But is The Checker right for your business? Is your company too big or too small to gain the benefits? Does it matter what you’re inspecting? This video answers those questions.